Paul Ricœur (February 27, 1913 – May 20, 2005) was a French philosopher best known for combining phenomenological description with hermeneutic interpretation. For this reason, he is often associated with two other major hermeneutic phenomenologists, Martin Heidegger and Hans-Georg Gadamer. Ricoeur published a large body of work on a variety of philosophical subjects, including anthropology, ontology, linguistics, psychology, theology, poetics, ethics, and politics. Ricoeur’s philosophy is often called a philosophical anthropology in that his philosophical investigations centered upon the human person. In doing this, he distanced himself from a more modern understanding of the knowing subject as limited to reason or the mind. Instead he inquired into the full scope of the human person in all its dimensions. Methodologically he began his career as a phenomenologist, and although phenomenology would remain his primary philosophical approach he later focused more on the significance of interpretation and the dialectic that is required in bringing different philosophical and scientific methods of knowing into dialogue with each other. Thus, his final position was a philosophical hermeneutics that emphasized the limitations or finitude of our human knowledge. Paul Ricoeur was born on February 27, 1913 in Valence, France. His parents died when he was only two years old, and he was raised by an aunt and his paternal grandparents. 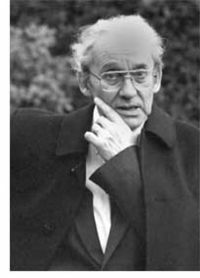 Throughout his youth Ricoeur excelled in his studies, and eventually he went on to study philosophy, first at the University of Rennes, and later earning a scholarship to the prestigious Sorbonne. It was at the Sorbonne that Ricoeur met the French philosopher Gabriel Marcel, who would not only be a tremendous influence upon Ricoeur as a philosopher, but would remain a lifelong friend as well. In 1935 Ricoeur married Simone Lejas, with whom he would have five children. In 1939 Ricoeur was drafted into the French army and he went on to serve in the Second World War as an officer. Not long after his deployment, however, Ricoeur was captured by the Germans, and he spent the remainder of the war (about five years) as a prisoner. During his imprisonment he was surrounded by a number of other French intellectuals, including the philosopher Mikel Dufrenne, with whom he would continue his philosophical studies. During this period Ricoeur and Dufrenne read Karl Jaspers, and after the war they published a book on him entitled Karl Jaspers et la philosophie de l’existence. Also while in prison, Ricoeur began a translation of Edmund Husserl's Ideas I. After the war Ricoeur returned to teaching and started to publish what would soon become a large body of work. He first taught at the University of Strasbourg in 1948 and in 1950 he received his doctorate, submitting (as is customary in France) two theses: A "minor" thesis which was the French translation of Husserl's Ideas I, and a "major" thesis which he would later publish as Le Volontaire et l'Involontaire. These early works earned Ricoeur the reputation of being one of the foremost authorities in France on phenomenology, a movement whose popularity had begun during the 1930s and increased during and after the war. In 1956 Ricœur took a position at the Sorbonne as the Chair of General Philosophy. This appointment signaled Ricœur's emergence as one of France's most prominent philosophers. While at the Sorbonne, he wrote Fallible Man and The Symbolism of Evil published in 1960, and Freud and Philosophy: Essays on Interpretation published in 1965. These works cemented his reputation. From 1965 to 1970, Ricœur was an administrator at the newly founded University of Nanterre in suburban Paris. Nanterre was intended as an experiment in progressive education, and Ricœur hoped that he would help to create a university free of the stifling atmosphere of the tradition-bound Sorbonne and its overcrowded classes. Unfortunately, Nanterre became a hotbed of protest during the student uprisings of May 1968 and Ricœur was assaulted by a student mob, being derided as an "old clown" and a tool of the French government. Disenchanted with French academic life, Ricœur taught briefly at the Catholic University of Louvain in Belgium, before taking a position at the Divinity School of the University of Chicago, where he taught from 1970 to 1985. In the United States Ricœur discovered American philosophy and social science, and became one of the few intellectuals who was well acquainted with all three intellectual scenes: French, German, and Anglo-American. This interaction culminated in his The Rule of Metaphor: Multi-disciplinary Studies of the Creation of Meaning of Language published in 1975 and the three-volume Time and Narrative published in 1984, 1985, and 1988. Ricoeur gave the Gifford Lectures in 1985–86, published in 1992 as Oneself as Another. This work built on his discussion of narrative identity and his continuing interest in the self. Due to the success of Time and Narrative, Ricœur returned to France in 1985 as an intellectual celebrity. His later work was characterized by a continuous cross-cutting of intellectual traditions; for example, some of his later writings engaged the thought of the American political philosopher John Rawls. On November 29, 2004, he was awarded with the second Kluge Prize for Lifetime Achievement in the Human Sciences. On May 20, 2005 Ricœur died of natural causes in his house in Chatenay-Malabry, France. French Prime Minister Jean Pierre Raffarin said, "[T]he humanist European tradition is in mourning for one of its most talented exponents." Ricoeur’s philosophy has often been referred to as a “philosophical anthropology.” Although he was well grounded in the entire history of philosophy, his primary resources came from the philosophical tradition known as “continental.” This tradition emphasizes the reflective aspect of philosophy and the centrality of the knowing subject. It has its roots in Descartes and moves through Kant and Hegel and finds its more contemporary manifestation in the phenomenology of Edmund Husserl. Indeed, all of these figures were important influences on Ricoeur, and he maintained certain features of their thinking while coming to develop his own philosophical approach called hermeneutics, which is closely associated with the thought of Heidegger and Gadamer. Like Descartes, Ricoeur viewed philosophy as being a primarily reflective discipline. Unlike Descartes, however, he sought to situate the reflective, knowing subject not in some disconnected cogito, but in a “self” very much embodied and thus as a concrete existential subject situated in the world. In this respect, Ricoeur was largely indebted to his teacher at the Sorbonne, Gabriel Marcel. Ricoeur’s first book was on Marcel and another existential thinker, Karl Jaspers. Both Marcel and Jaspers were critical of a philosophical idealism in which abstract systems lost contact with the lived experience of concrete human reality. For this reason they emphasized the situational aspect of human knowing by insisting on the role of the body in its relation to self and others. Ricoeur, likewise, argued that the self is not a free-floating soul or mind which while dwelling inside a body is essentially distinct from it (as Descartes had argued). Rather, the body is an integral part of the self, which means the body plays an important and limiting role in our capacity to know ourselves. It is this search for self-knowledge and the personal question of “Who am I?” that motivated Ricouer in his development of a philosophical anthropology. And yet, although Ricoeur was sympathetic to this Socratic aspect of Marcel in seeking self-knowledge, he was dissatisfied with the lack of method in Marcel’s philosophical approach. For this reason, he turned to the phenomenology of Husserl, which Ricoeur held to be more methodologically rigorous. Although Ricoeur would become dissatisfied with the purely “eidetic” or structural phenomenology of Husserl, phenomenology would remain Ricoeur’s primary philosophical method, though he would engage it with other scientific and philosophical methods as well. Another key aspect of Ricoeur’s philosophy is that like Kant he thought that all human knowledge was essentially finite or limited. We can never attain a pure knowledge of things as they are “in-themselves”; instead, all our knowledge is limited due to certain conditions. Although holding to the finitude of our knowledge, Ricoeur, unlike some postmodern relativists, was not skeptical about the validity or truth of our knowledge. That is, he thought we really do attain truth about ourselves and the world in which we live, and so for this reason we attain "true knowledge." But because such knowledge is always conditioned by various factors, such as the influences of history, culture, and language, this knowledge is not absolute. Unlike Hegel, then, Ricoeur did not hold to the possibility of an “absolute knowledge” where the philosopher hopes to achieve some Universal knowledge of reality or Being. Nevertheless, Ricoeur did practice a kind of dialectic in which various philosophical ideas or methods were brought into dialogue and held in a kind of creative tension. In bringing different scientific or philosophical methods or ideas into dialogue, new conceptual syntheses were created. These syntheses, however, did not claim to contain or encompass entirely the ideas or poles of the tension (as in Hegel’s Universal Dialectic). Instead there emerged a play of ideas in which new meanings are revealed within the scope of their own limited horizons. Hahn, Lewis E., ed. 1995. The Philosophy of Paul Ricœur, The Library of Living Philosophers 22. Chicago, La Salle: Open Court. Marcel, Gabriel and Karl Jaspers. 1948. Philosophie du mystère et philosophie du paradoxe. Paris: Temps Présent. Reagan, Charles E. and David Stewart, eds. 1978. The Philosophy of Paul Ricœur: An Anthology of His Work. Boston: Beacon Press. Dauenhauer, Bernard P. 1998. Paul Ricœur: The Promise and Risk of Politics. Boulder: Rowman and Littlefield. Dosse, François. 1997. Paul Ricœur: Les Sens d'une Vie. Paris: La Découverte. Idhe, Don. 1971. On the Way to Ontology: Hermeneutic Phenomenology: The Philosophy of Paul Ricœur. Northwestern University Press. Kearney, Richard. 2004. On Paul Ricœur: The Owl of Minerva. Hants, England: Ashgate Publishing. Paul Ricoeur, Stanford Encyclopedia of Philosophy. Paul Ricoeur, Internet Encyclopedia of Philosophy. This page was last modified on 30 January 2019, at 17:29.